I watched, with anticipation, Amazon Prime’s production of The A.B.C. Murders by Agatha Christie. The only resemblance this production had with Agatha Christie’s novel was the title, names and places. All other semblance of the great writing of Christie was sacrificed on the altar of the production’s ill-founded goal of creating a back-story for the character Hercule Poirot. I will be disclosing the plot of this farce, so if you want to watch it, you might not want to read on. The producers of this movie, for some unknown reason, thought we needed to delve into the psyche of Hercule Poirot. In doing so, they took liberties that are unconscionable. It is hard to conceive that the Agatha Christie family allowed such a production. The Poirot of this movie is a shell of the Poirot that Christie created. Gone is the signature mustache, replaced by a van-dyke beard that does not fit the character. Hercule is portrayed as a broken man, past his prime; as a foreigner (refuge) living in England, dealing with anti-foreigner attitudes and prejudices—almost as if the producers wanted to hold up a mirror to the discussion we’re having in this country on immigration. 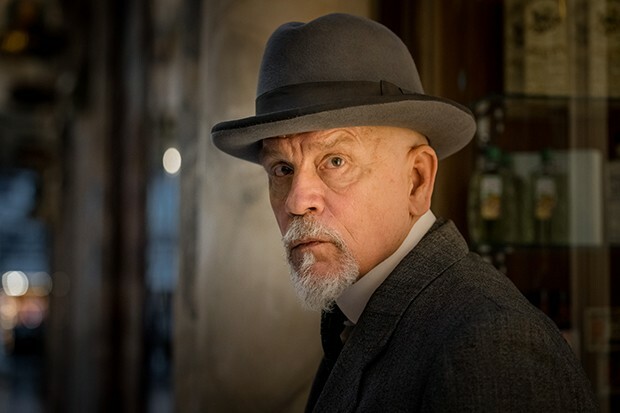 It also portrayed Poirot as a devout Roman Catholic, which also comes out in other novels (such as Murder on the Orient Express); but instead of treating his religion with the respect of Dame Christie, these producers chose to show Poirot as a former Priest who apparently gave up his faith when he emigrated to England. Both were totally out of place and unnecessary and based on conjecture (at best) or the producers’ prejudices (at worst). Gone from this production is the good humor and banter that often goes on between Poirot and Col. Hastings (completely written out of the script) and Inspector Japp (who appears for one scene). Instead we get an impotent Poirot who is at the mercy of Japp’s replacement, a detective who has no time for Poirot or his theories. 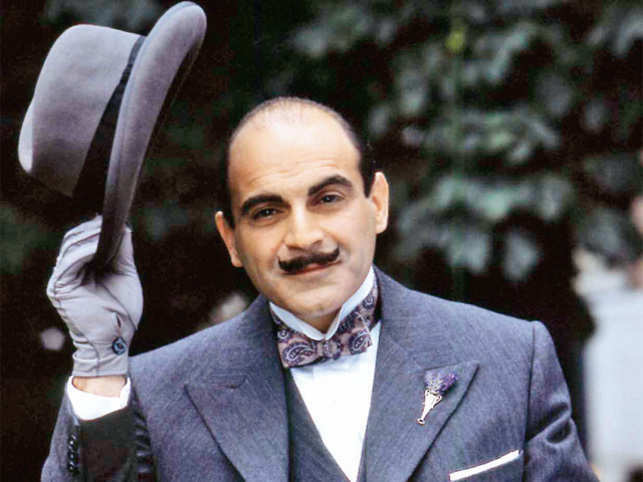 By way of contrast I immediately watched the BBC’s production, starting David Suchet as Poirot—here was Poirot as Christie meant him to be—smart, witty, ingenious, yet dead serious about enforcing the law. One other critic of this movie remarked that if it gets new readers for Christie’s works, then it’s worth it—hogwash! The Poirot they meet in Amazon Prime’s movie will not be the detective they meet in the pages of Christie. This production belongs, in total, on the cutting room floor and I hope others feel the same way.